It’s no secret that our guest bathroom is ugly and pathetic. Mostly my choice of decorating is bad (theres’s no way I’m showing the “before” pic of the bathroom again, it’s just too embarrassing; but if you REALLY want to see it, you can read all about it HERE), but still, the builders went the pretty typical “cheap” route when it came to finishes. Ugly laminate floor, ugly light fixture, ugly towel bars, boring faucet. You get the picture. But when we moved in, it was easy to just throw a few bright “beachy” decor items in there and call it good. However, now that we have a child and we’re in that bathroom several times a day for some reason or another; I’m tired of looking at it. I’m ready for a major update. Like any any room update and refresh, there’s a budget. Boo. I hate those. And unfortunately the longer I wait to do anything in that room, the more the budget tightens. I better get a move on! And since we have such a tight budget for this update, I’ll definitely be thrifting and DIYing all of it! 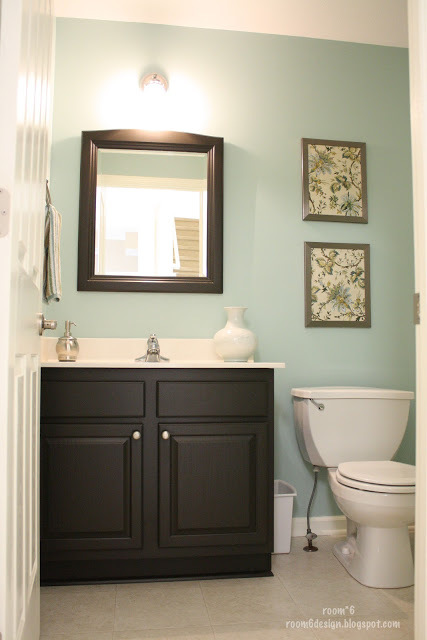 I’ve been doing some research on small bathroom spaces, and the elements that I like from each. Because I’m incredibly indecisive, I’m having trouble narrowing it all down. Though sometimes looking on Pinterest for inspiration is a dumb idea. Why? Because I see too many things I like and then become even MORE indecisive. Anyone else have that problem? 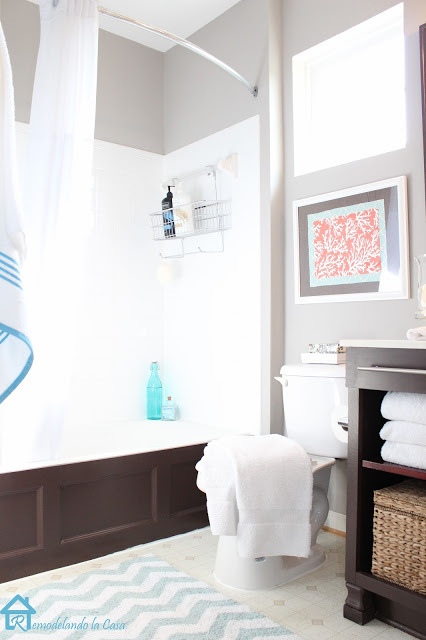 To give you a little more of an idea of what I’m thinking, here are 10 inspiring small bathrooms! 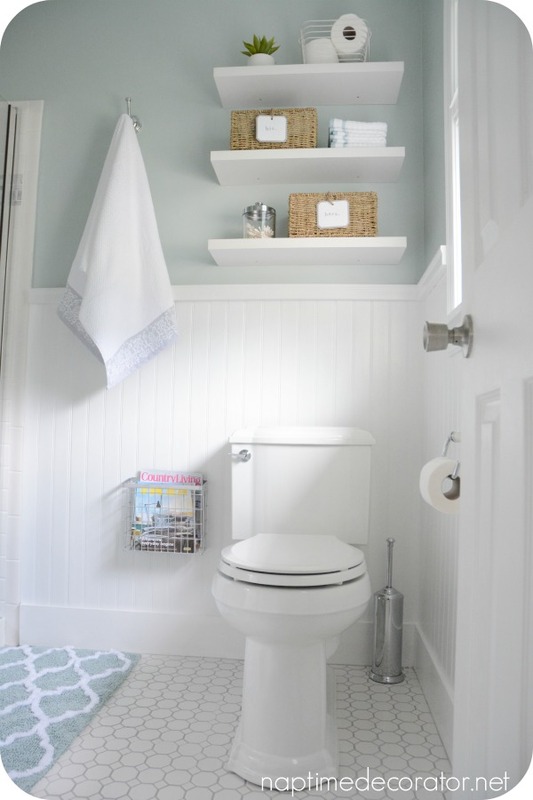 These are all simple, beautiful and bright (as in light, not color) bathrooms that have caught my eye. All have similar elements, but with different flair in each. I hope you find them inspiring, too! Aren’t they all so pretty? Which is your favorite? Do you have any suggestions for me in my quest to narrow down my bathroom ideas? You’re so welcome! I just love your bath. 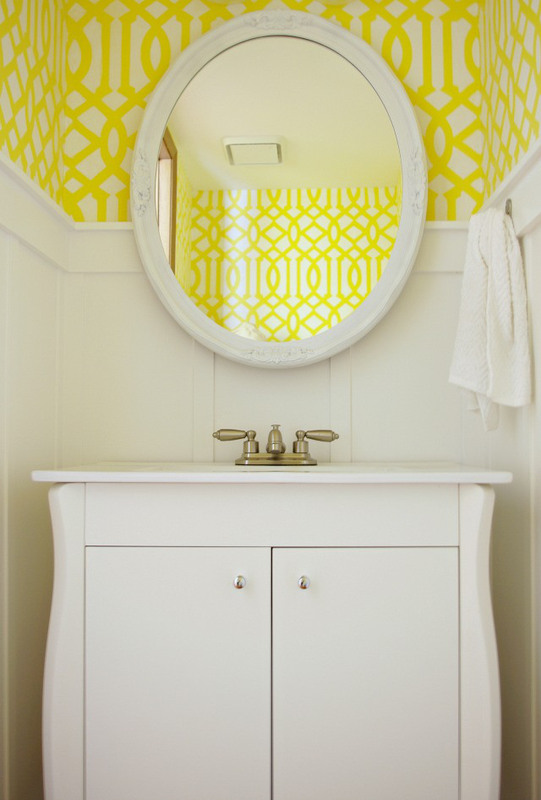 That yellow and white combo and pattern are just beautifully mesmerizing. 🙂 I love being inspire by them all too, it’s really amazing what you can do on a budget! 🙂 Have a great weekend! 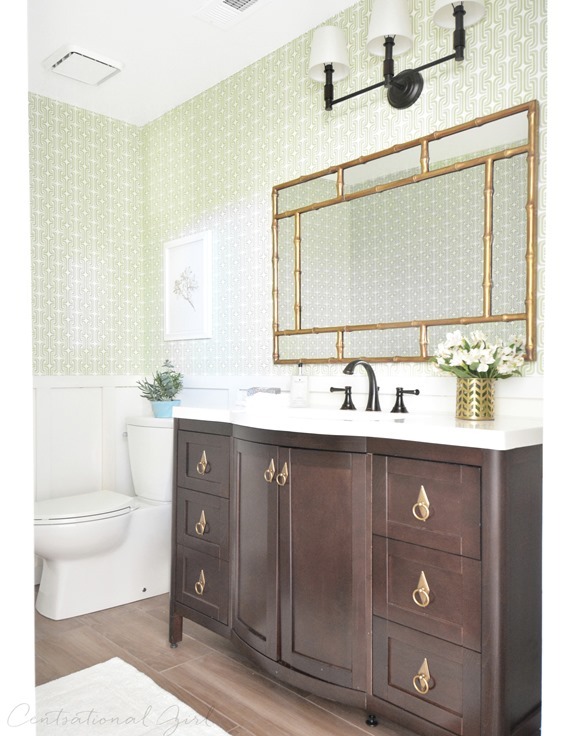 I have been working on our Master Bathroom for over a year now… and, it isn’t really big. So, these are all great inspiration. That one with the gold mirror is gorgeous. SUCH a great round up! 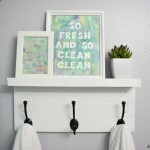 Definitely pinning for our bath remodel! Happy weekend girl! Thanks, Kristi!! I hope they can inspire you a little when you get to your bathroom, too! 🙂 Have a fab weekend! So many cute ideas! 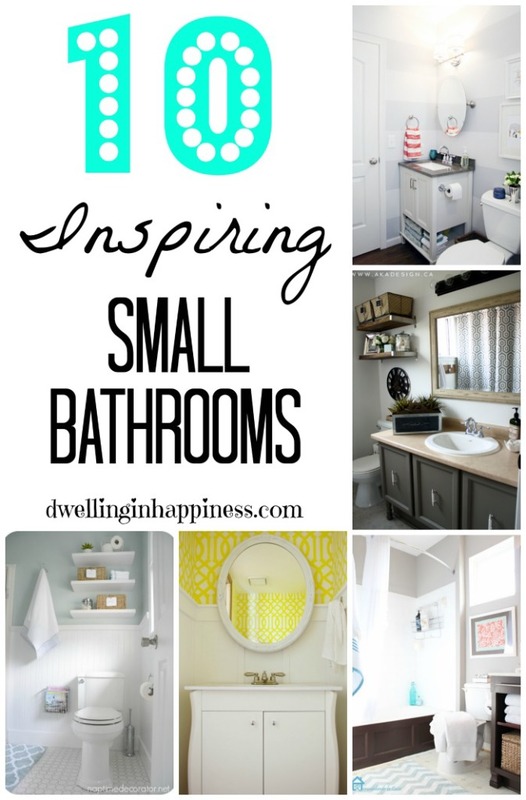 I desperately need some bathroom inspiration… mine are so small you can hardly turn around! Loving the shelves and stripes! Thanks for the ideas! 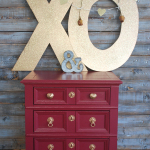 Love all the inspiration photos and can’t wait to see the reveal. Personally I love the glass bowl sinks and dark cabinetry although I’ll be happy once I get rid of my pink laminate counter! 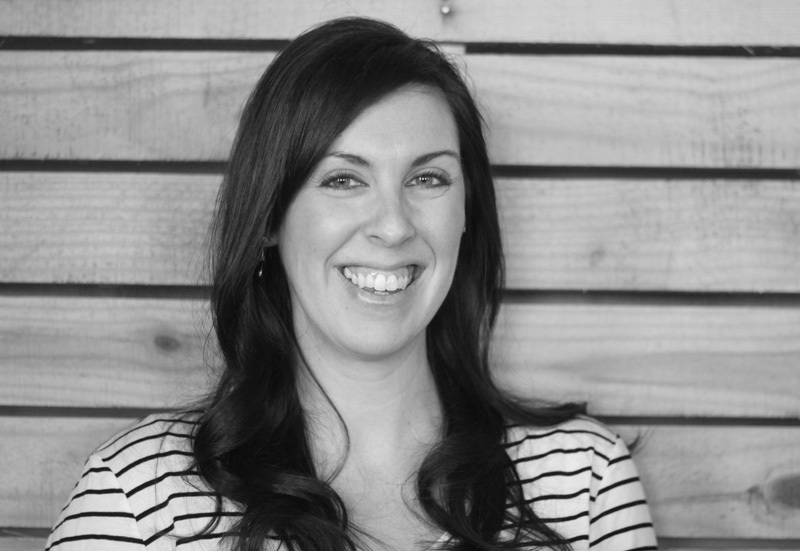 Thank you, Kristen! Oooh, I love the glass sink bowls, too! I wish that was in our budget, that’d look SO awesome. 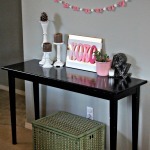 Pink laminate counter! Wow! Why do people think that’s a good idea?! 😉 Hope you’re having a great week! Thank you, Maria! The yellow one is one of my favorites, too! It’s so fresh and bright, and it makes me happy. 🙂 And you’re so right, less is totally more!! Especially in small bathrooms. 🙂 Thanks for visiting! These are some great pictures for inspiration! Thanks so much for sharing at Totally Terrific Tuesday this week! Thanks, Christie! I love inspiring pictures when I’m working on a project. 🙂 Hope you have a fabulous day! I think small bathrooms are fun to work with. Yes, they are challenging, but I like the challenge to turn it into something functional and on a budget. I like just a touch of color, as in Room*6. We have the same color in a mudroom nook which is dark. But the paint brightens it just enough. Pinning for inspiration! Oooh! These are all so cute. Great choices! I’m going to be moving later this year, so right now I’m in the finding inspiration stage of decorating. I’m not sure what my house will be like, but it’s fun to find some ideas! Thanks for sharing this with Hump Day Happenings. Great roundup! 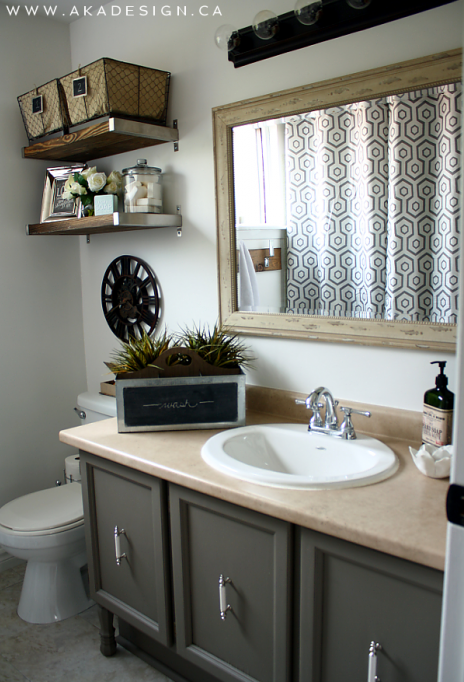 I also have a teeny tiny windowless guest bath and I love seeing how other people tackle theirs. 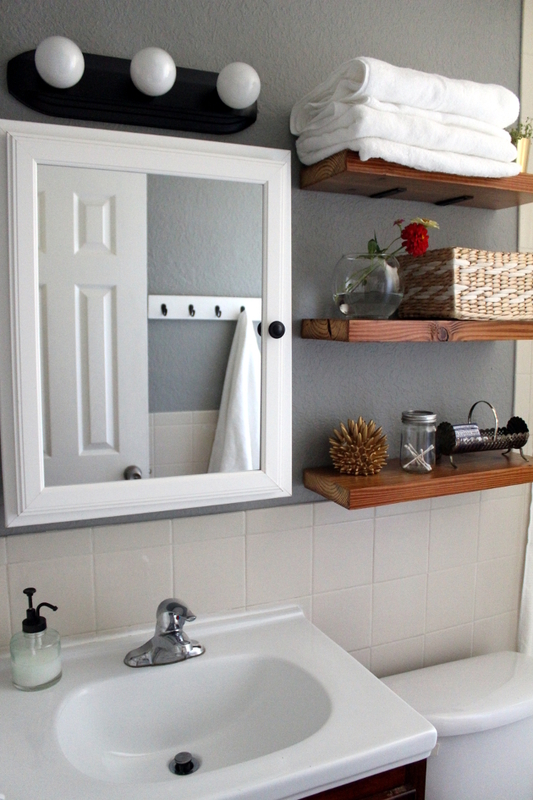 The shelves above the toilet is a very good decorative solution. Beautiful images full of inspiration !!! En estado de Rachel recently posted…Estudio de fotografía en el ático. Thank you so much! 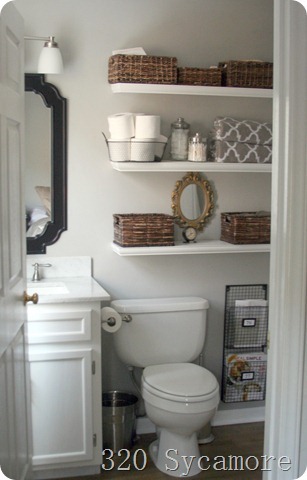 I agree, I think shelving above the toilet is perfect for a small bathroom. I love extra storage! I hope you’re having a great weekend! We have a really nice small bathroom, so I feel your pain on decorating and trying to make it all seem light and spacious. Ah yes, so glad I’m not alone! I loathe small dark bathrooms! It’s definitely a challenge to make it brighter. Hope you had a great Saturday! I love this roundup! 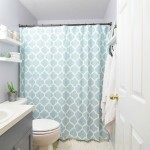 I have two tiny bathrooms in my house, and I have been looking for some good ideas. Thank you for the inspiration! 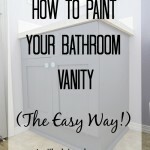 I’m facing the bathroom makeover and super restrictive budget too. I’ll be going white with white on white. All colour will be added as accessories, towels etc. 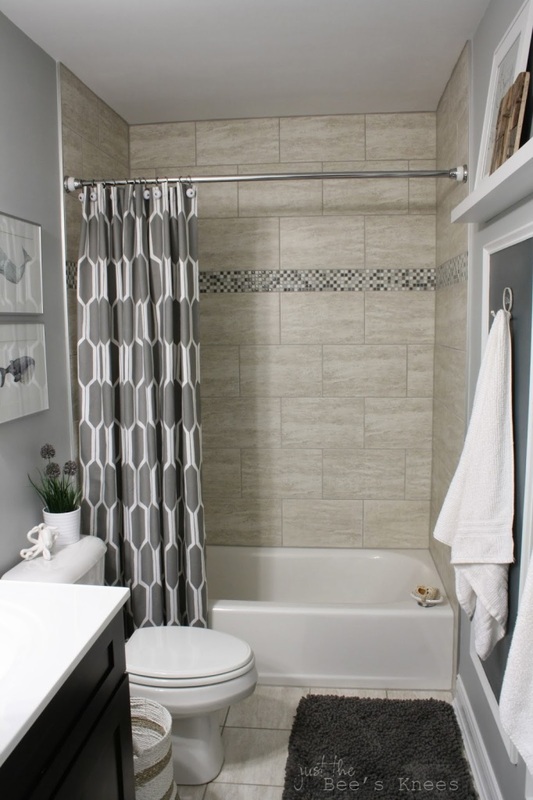 I’ll be keeping tiles big and grout to a minimum because keeping cleaning easy is super important to me. I’d love to change our lighting too but I don’t think that is going to happen. 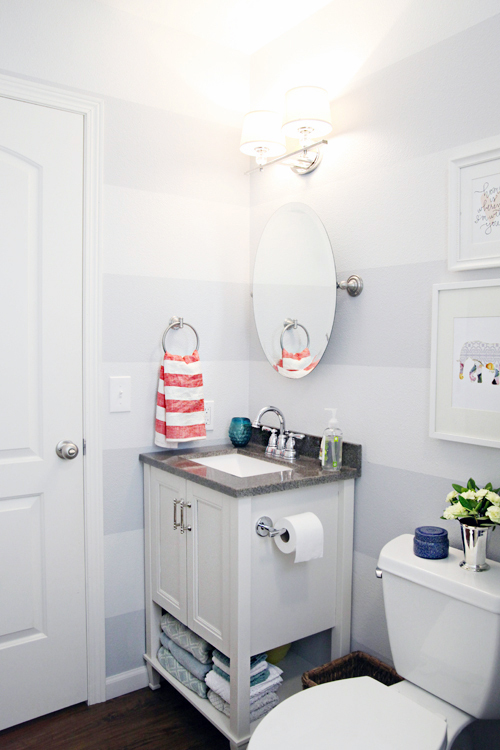 The second bathroom from the bottom from naptimedecorator is my favourite from the list.It feels the brightest and cleanest to me and I think that’s because it had the lightest colours accept for the grey but grey is no good in small spaces – it needs room to breathe. these are great bathrooms! I have been thinking about doing some upgrades to mine. I am feeling inspired right now for spring to get here so I can get some work done! thanks for sharing at Totally Terrific Tuesday! I cant wait to see what you linked up this week! 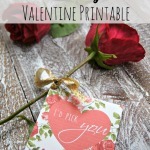 Pinned and shared all of your goodies! Thank you, Jess! These have totally been inspiring me as well, I’m SO ready to get moving on my sad little bathroom! 🙂 Hope you have an awesome rest of the week girl! What a great round up! I love that they are all so stylish and functional, but also so different!